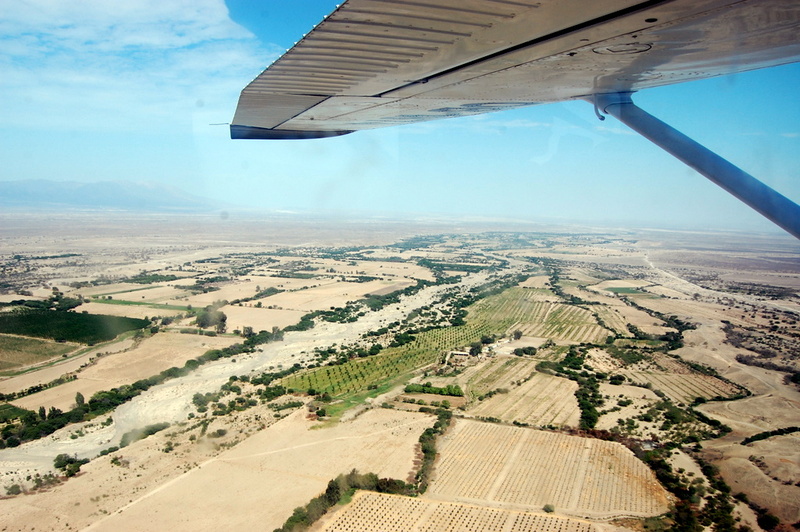 At $100 USD per person, flying over the Nazca lines is not a great choice for those on a budget. Jason figured that the two lines he saw from the viewing tower were good enough for him, and he spent the morning doing car maintenance. Bode and I figured that since we were here, and it was a once-in-a-lifetime opportunity, we should go. 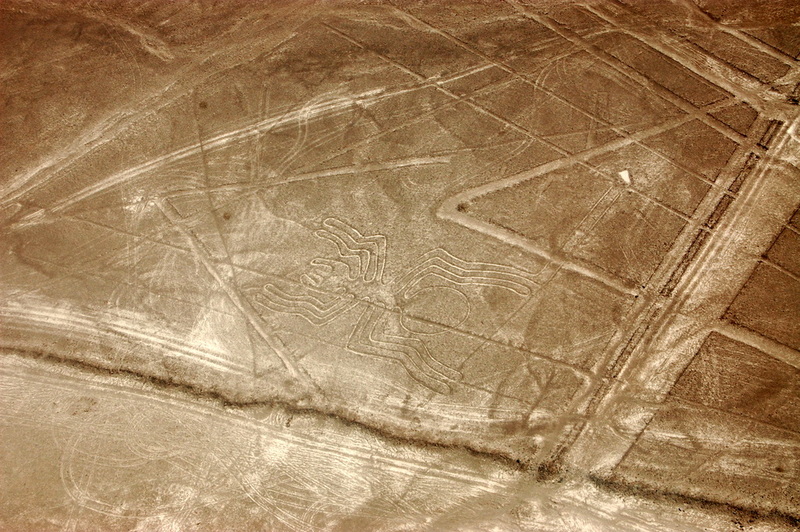 The Nazca lines are ancient geoglyphs drawn (scratched, actually) on the ground between 500 BC and 500 AD by the Nazca culture. They weren’t really known in the rest of the world until around the 1920’s when airplanes flew over them. No one really knows why they are here, or what their purpose was, but there are many theories including communication with extraterrestrials and giant looms for weaving textiles. Those would be some big textiles, as the largest figure is 650 feet across. The most likely theory is that figures were some sort of religious symbols meant to invoke the gods’ aid in supplying water. Some of the figures seem to have an entrance and exit, so it is believed that the Nazca would use the figures as a walking track so that they appeared animated to the Gods. But no one really knows. 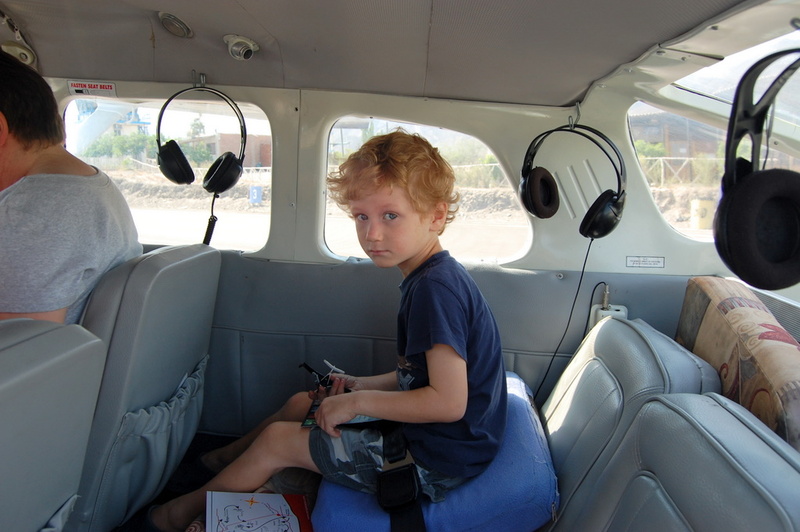 So Bode and I left early for the airport, where we were weighed and assigned a plane. 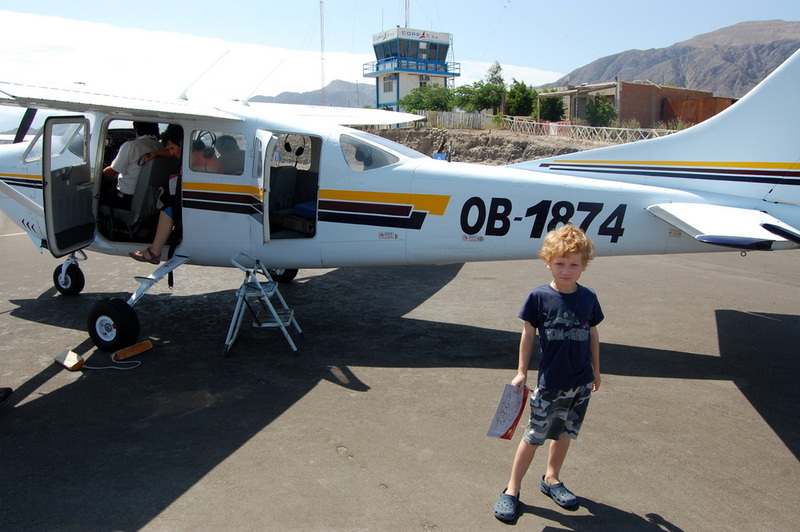 The planes were small, 4 passenger (plus the pilot and guide). We had been warned about motion sickness, as the pilots bank to each side so the passengers can look directly over the lines. Bode was a little nervous about throwing up, but once we got our headphones on he was fine. The ride was just like a roller coaster, sometimes we’d drop few meters, sometimes it felt as if the wind was pushing us sideways. 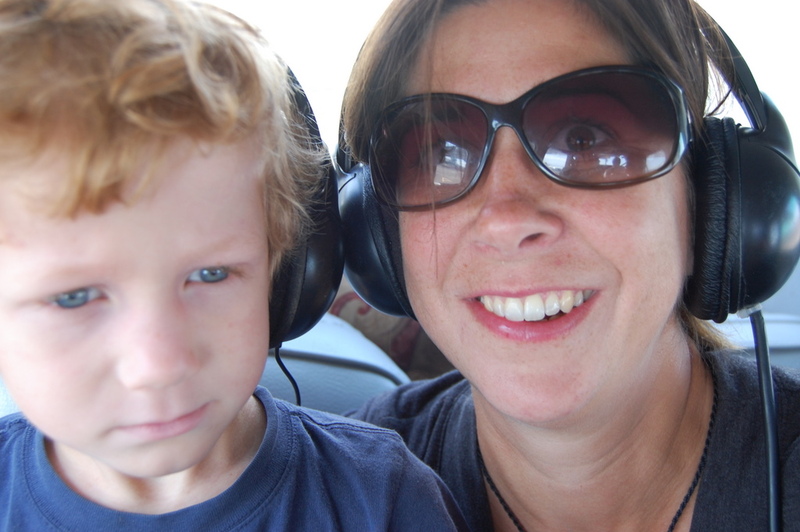 Once we were over the lines, we didn’t seem to notice the unsteady plane. We flew over about 20 different lines, twice each. 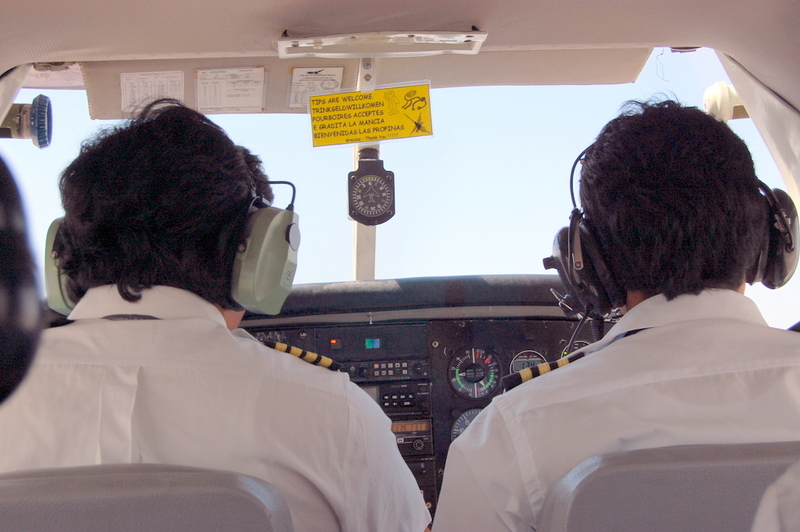 The ‘guide’ obviously had poorly memorized his English speech, because each new line he’d say and “now on the left we see the dog, at the left wing” and then the plane would turn on it’s right side. Then, we’d fly around in a circle and he’d say the same thing but this time we’d actually see it out the left window. So, my favorite was the monkey, Bode’s the astronaut. We both swear the guide said ‘astronaut with a bow tie”, but I’m not sure what he was trying to say. Flying over you definitely get a sense of the magnitude of the figures. All in all, flying in such a small plane and seeing the ancient drawings was a pretty cool experience. 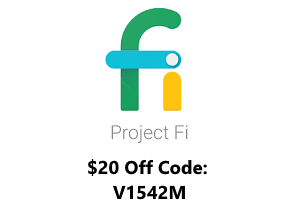 WOW – What an AWESOME experience!! I love that last pic of Bode, mysterious and serious 🙂 I love, too, that he brought his toy plane on the plane! Why was the airport woman taking a picture of Bode with her phone? 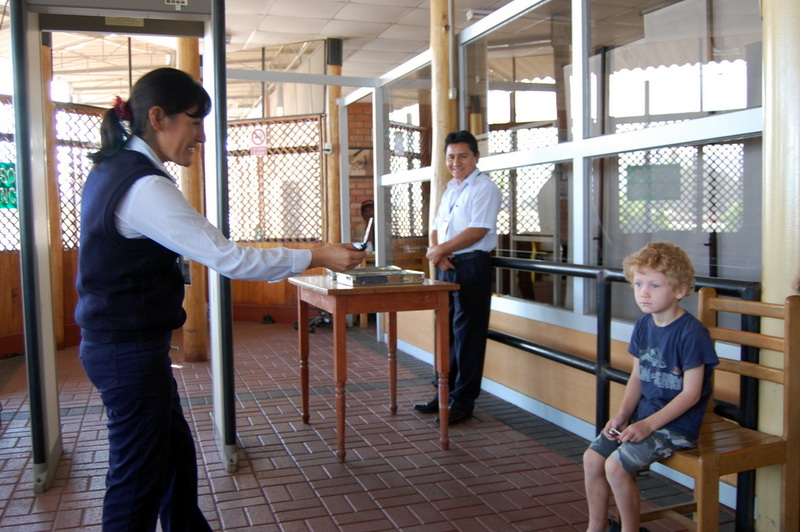 The blond haired, blue-eyed child is an oddity in Central and South America. Bode gets his hair touched daily, and photos taken frequently. Unfortunately for the pilot, they wouldn’t let me take my backpack on the plane (only the camera), so I had no money for a tip! I bet you’re glad you blew your budget on this experience. 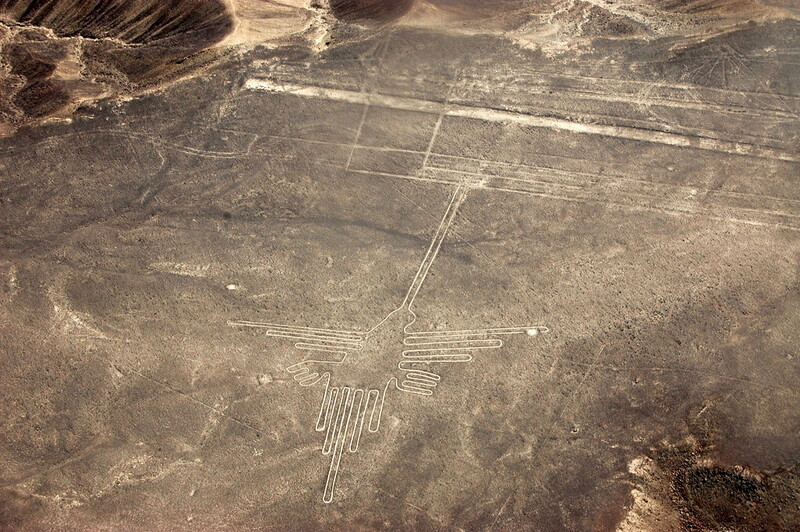 I’m so jealous – it’s on of my bucket list items to see the Nazca lines. I think I’d have to splurge on a flight too. Did either of you get sick? “Astronaut with a bow tie” – lol. 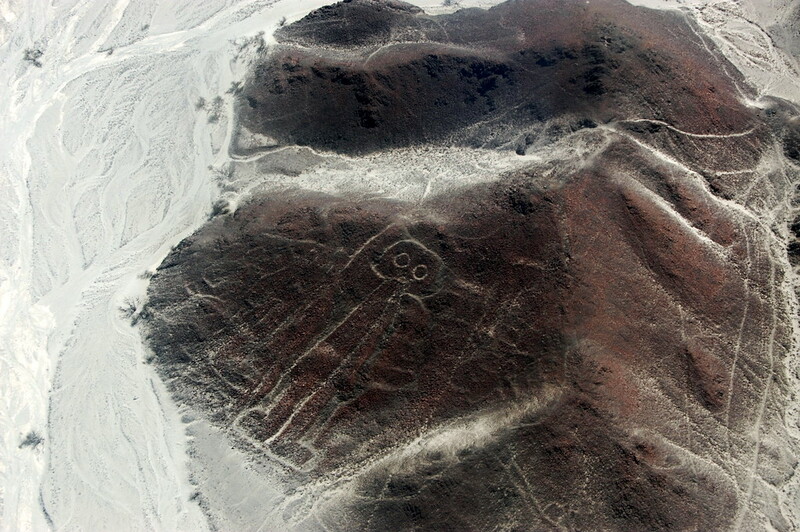 Perhaps the Nazca were Doctor Who fans. This pilot only takes words of “thanks” as a tip or perhaps stopping up before or after the flight to say hello. 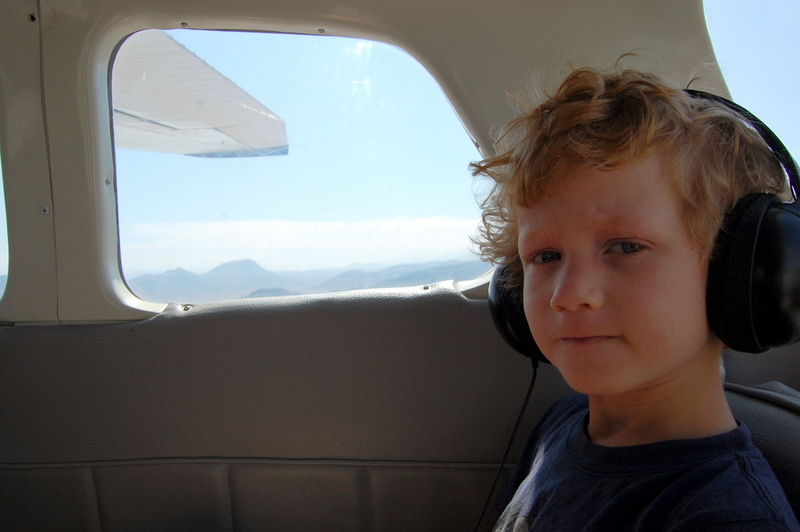 On a small airplane such as the 206 you were in, weight is very tight so leaving behind the backpack is a good idea. It’s good to see a post again – was getting a little worried about where you guys were!!! Looks amazing. Angela–If I were there, I think I would have blown the $100 right along with you and Bode. I think you made the right call. 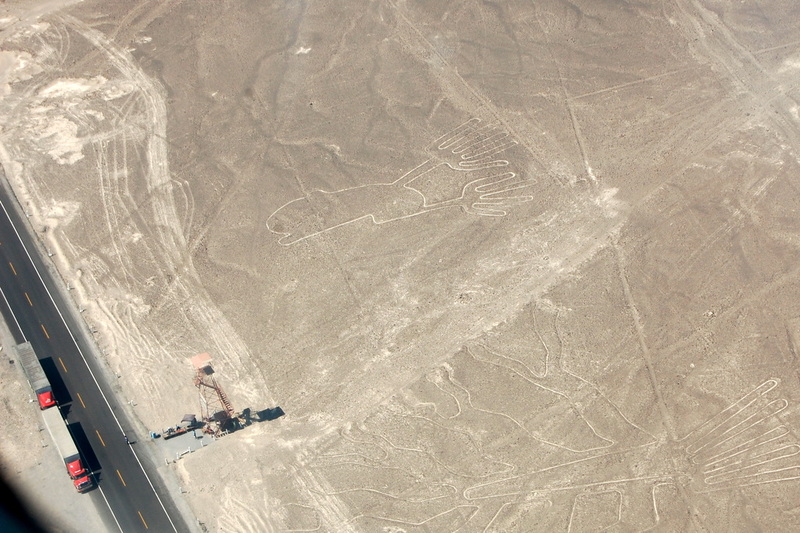 When are you going to be able to see all the Nazca lines in your lifetime, and how much can you really see from that observation tower? 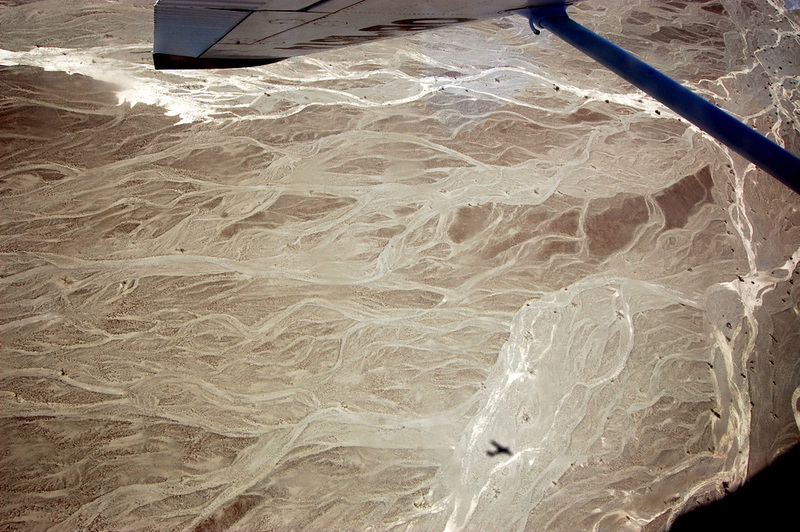 I’ve always been fascinated by the Nazca lines. Until recently, I didn’t even realize they were in Peru! They’re so big that I can’t imagine any other way to observe them except through a plane ride, even if a little pricey. Sometimes you just gotta “do it”.